Perhaps most notably, the Kendall Yards Bluff Building will be located between the building which houses Nectar Beer & Wine and Veraci Pizza and the Inlander Building at the 1200 block of Summit Parkway, filling a major gap in the urban fabric. Featuring modern Pacific Northwest architecture, with exposed beams and a large bluff-side deck and patio, the interior seems to combine the former Spokane Public Market with Saranac Commons for something unlike anything we’ve yet seen in Spokane. Some space on the Summit Parkway side of the building appears geared toward retail or offices. And a significant amount of space is reserved for a decently-sized public patio on the front side, further enhancing the space. Ultimately, we could not be more excited to see or hear more about Greenstone’s plans for the Bluff Building. In the residential area, the Elm Street Condominiums set for the southwest corner of Elm and Summit Parkway. Featuring 24 units and semi-subterranean parking, this building promises to feature perhaps the highest-quality design and architecture we’ve seen in a Kendall Yards project to date. Deep, strong lines complement the modern Pacific Northwestern architecture. Large balconies add a new amenity. 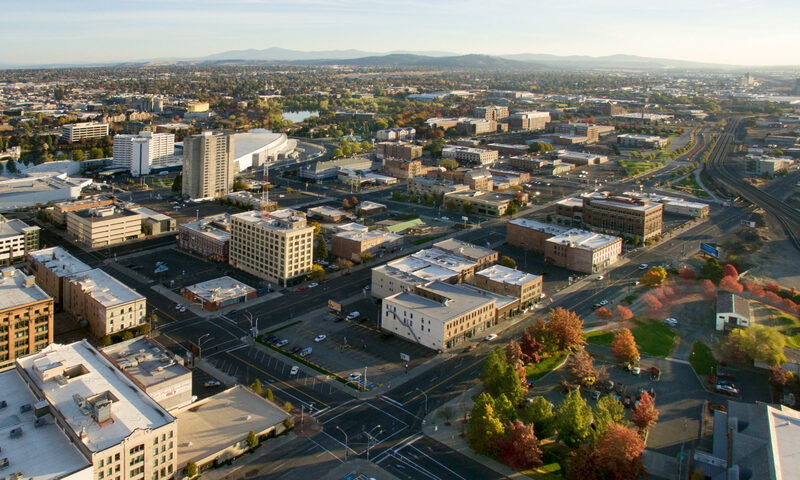 As always, we expect strong pedestrian infrastructure nearby, allowing for easy access to the Centennial Trail, the commercial district on Summit Parkway, or other areas in West Central. The Elm Street Condominium project would construct a 24-unit condo building at Elm and Summit Parkway in the heart of Kendall Yards. As seen here, architecture and design has been upscaled in comparison to previous residential projects. Another new building, a Medical Office Building, will be located on the north end of the district near the Spokane Regional Health District. Targeting outpatient medical, dental, and other services, this building will feature three stories and a design in keeping with much of the rest of the commercial district. That building has been issued a Building Permit and will start construction imminently. SHARE YOUR THOUGHTS: What do you think of the progress made in Kendall Yards since the first projects opened several years ago? Are you excited about what 2016 holds for the new urbanist neighborhood? And what of that Bluff Building? What would you like to see inside? Share your thoughts in the comments, on Facebook, and on Twitter. We love to hear from you.